Our consulting team has significant international and cross-cultural leadership development experience. For example in 2012 alone, we were engaged in delivering leadership development assignments in 14 countries namely China, Hong Kong, India, Indonesia, Malaysia, Russia, Singapore, South Africa, Switzerland, Thailand, Ukraine, United Kingdom, United States and Vietnam. FLI has a faculty of over 100 experienced consultants globally. We have capability to deliver assessment and development solutions in both English and local languages (Mandarin, Cantonese, Hindi, Bahasa Indonesian, Japanese, Bahasa Melayu, Tagalog, Korean, Thai, Vietnamese, French, German, Dutch, Russian, Swedish, and Arabic). Please contact us at enquiries@fliconsulting.com for further information. 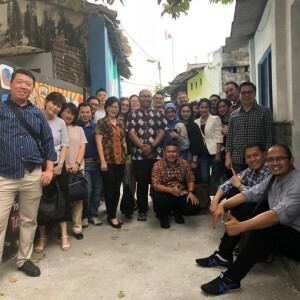 FLI consultants delivered a blended learning solution to accelerate the development of the senior leadership team in Indonesia using a combination of action learning projects, group coaching, workshops, guest speakers, internal mentors and site visit to drive specific strategic business initiatives in the organisation.